Michael S. Burdett is a postdoctoral fellow at Oxford’s Wycliffe Hall and holds degrees in engineering, physics, and theology. My imagination tells me he can answer basically any kind of question you have. For example, the last few editions of Wired magazine’s probably left you with a few lingering concerns over genetic engineering, the future of humanity, and the relationship between information science and religion. Mr. Burdett’s academia page has papers addressing each of those themes. His first book published was Eschatology and the Technological Future, a monograph published in the Routledge studies in religion series–also a version of his dissertation, which is probably why it reads like one. The book is a precise analysis as well as a far reaching history. That’s a hard trick to pull off, and even harder when your topic is something as nebulous as transhumanism, which is likened at one point in the book to the “religion of technology.” A more exact definition is taken from a leading self-avowed transhumanist and philosopher from Oxford, Nick Bostrom: it is the “intellectual and cultural movement that affirms the possibility and desirability of fundamentally improving the human condition” which includes efforts to “eliminate aging and… enhance human intellectual, physical, and psychological capacities” (81). The book is carved into three parts. Part I’s energy is directed at tracing the history of transhumanist themes as far back as Francis Bacon, on through the rise and permutations of science fiction, and finally arriving at the current stage of our technological imagination, this trend called “transhumanism.” Part II is dedicated to analyses of two full-fledged theological responses to technology, roughly organized according to an “optimist/pessimist” binary. The first figure is Pierre Teilhard de Chardin and the second, Jacques Ellul. Part III is given the unruly title, “Philosophical and Theological Issues in Technology and the Future,” and although it sounds like a treatise written by some forgotten contemporary of Leibniz, it’s well worth the read. It first looks to Heidegger and then to the philosopher-theologians Richard Kearney, Eberhard Jüngel, and Jürgen Moltmann. Part I explores the history of transhumanist themes as far back as Francis Bacon himself and his Instauratio Magna. Bacon is famous for his technological enthusiasm certainly, but he is also famous for his faith, bequeathing us aphorisms such as “atheism is rather in the lip than in the heart of man” and “a little philosophy inclineth man’s mind to atheism, but depth in philosophy bringeth men’s minds about to religion.” (Bacon, here). And this influence is evident in all of his works. “Instauratio Magna” in fact refers to the restoration of Solomon’s Temple, a word uncommon in Bacon’s time and probably taken from the Vulgate (13). 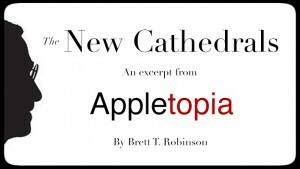 So his faith influences his view of technology, and so too does his technological enthusiasm influence his faith. For Bacon, technology is what allows us to “broach upon the divine” and we participate in the redemption of the world “through ‘labour, as well in inventing as in executing.” Human technological innovation is a key ingredient in the coming of the Kingdom of God. This kind of thinking Dr. Burdett rightly labels as “futurum,” which is a Latin word meaning a future that is born directly out of present conditions. The other side of futurum is “adventus” which is a Latin word meaning a future that comes out of nowhere, a gift, unexpected. Bacon blends futurm and adventus eschatology as we see clearly in his belief that “the ultimate transformation of the human being and all of creation in the future was to be an act of God through religious means”(15). In ninety pages Dr. Burdett takes us on an express track through the history of our technological imagination, finally stepping off onto a sterile, white, shiny platform called transhumanism. Along the way, a key mutation occurred. Adventus thinking seems to drop off the face of the earth. It just disappears. The future in our minds becomes once again a picture of Newtonian and Laplacian determinism. All that matters for tomorrow is precisely what we accomplish today. And the hope we have, we have in the transcendence that technology offers us–nothing else. It is “cessation of death through technology” and “transcendence” that we have to look forward to. Part II is a review of Pierre Teilhard de Chardin and Jacques Ellul’s theological responses to this conundrum. Only a few paragraphs at the end of each chapter are devoted to applying their perspectives to the problem; most of the ink comprising this Part is spent explaining their theological and philosophical outlooks. If you’re already familiar with both thinkers, I suggest skipping to the “conclusion” section of both chapters. If you’re not, here’s a mega-quick look at the key points. Pierre Teilhard de Chardin, like Bacon, is supposed to believe that technology is a key component of the coming of the Kingdom of God, the eschaton. He is very optimistic about the possibilities of technology and sees technology as essentially the next step in cosmic evolution. Like Bacon, however, he also believes that God is the ultimate driver and decider of redemption, and his technological optimism is qualified by the criterion of Christ-likeness. Technological society is only good if it is approaching Christ-likeness. His theological system is interesting and worth reading about, but it does run almost parallel to “cosmic Christ” theologies and new age spiritualism. Jacques Ellul is the anti-Teilhard in this book. He is pessimistic about technology and sees it, rather than driving humans forward potentially toward Christ, overtaking humanity and making us into slaves of our own creations. If Teilhard thinks that “to uphold the value of human work in God’s creation, it must invariably include technology,” Ellul thinks that “…technology is essentially sterile and sterilizing, contrary to all previous systems of mediation” (135, 150). 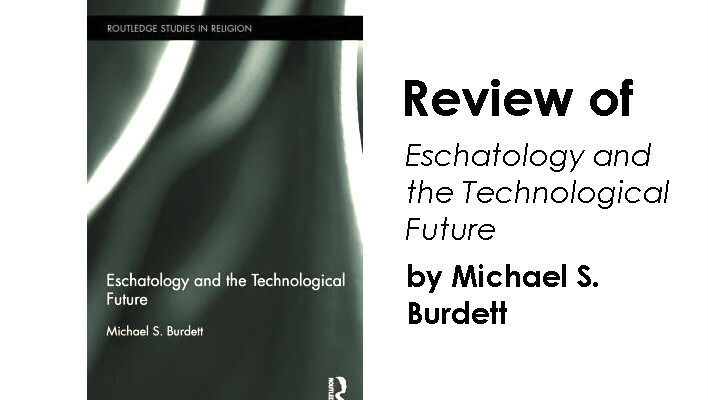 Technology for Ellul “becomes the sole determining factor for society and the future” (151). This is not necessarily so for Ellul. It just is the way it is because people have repositioned technological society as their source for sacredness. We worship our creations. Pitting Teilhard and Ellul against each other doesn’t seem very useful, as both are approaching the same problem from separate angles. And they agree on more than they disagree. Teilhard cautions us against valuing technology over Christ when he says that technology is only good if it is helping us approach Christ-likeness. Ellul is simply saying, yes, and by the way, we have done exactly that, valued technology over Christ–enjoy this sociological examination of the consequences. Part III is an attempt at forging a new way forward with the help of Heidegger and the aforementioned three theologians, Kearney, Jüngel, and Moltmann. What we gain primarily from Heidegger is a critique of the “flattened ontology” of transhumanists who base their speculations of the future on their understanding of the present as is. This is simplistic and mistaken to Heidegger. As Burdett explains Heidegger’s understanding, “The present actual is subjugated to how Dasein is related to the future” (193). The present is shaped by the possibility of the future, and in that possibility there is uncertainty. The final chapter is a whirlwind of theology and philosophy, moving from Kearney and Jüngel’s critiques of Aristotelian logic to an elaboration of Moltmann’s eschatology. The themes are “Possibility” and “Promise.” To be honest, the majority of the material was technical theological distinctions and exposition, and it was hard at times to tie it to the overarching topic of the book, transhumanism. But the main idea, I think, can be more or less simply put. The book concludes, then, by distinguishing between the transhumanist and the Christian vision of the good life, and it has a lot to do with death. “Is the good life nothing but infinite pleasure, the absence of pain and an infinite will? It seems the transhumanist idea is that the will is unencumbered from any limitation whether from death, the body and, in some places, other people,” (239) he says. But the Christian, on the other hand, “does not deny death’s place but is released from its power through Christ entering into death and overcoming it.” And most importantly is the fact that it is in our death that “God grants new possibilities to humanity so that we don’t become nothing” (239). There is transcendence in Christianity, but it comes from relationship and resurrection. And that’s the important thing. The transhumanist ideal is indeed ultimately about the denial of death, a reasonable end for a culture so afraid of dying. But Burdett is unnecessarily abstruse. The transhumanist philosophy equates technical advancement for a materialistic and misguided idea of freedom. We can replace the body with parts which perform better (or more likely not as well), but will the replaced parts touch in the same way? Perhaps we can save memories in some kind of format where they are preserved inalterably, replace the mind with an operating system and a hard drive. Will the robotic hand be able to delicately touch the blossom the nose smells on the breeze? Will the touch of the mechanical hand unite with the loving eyes to meet the lover? Are the eyes even real, or just optics linked to a processor with a complexly programmed response? Of course, replace the missing hand as an aid, a tool – but do not call it better than the original. No, the transhumanists are narcissistically applying the vision of an ideal technical human and finding the homo sapien wanting, as indeed it is. But they are more eager to abandon the flawed body and mind than appreciate its wondrous mysterious unity. It is in that wonder, in the mysterious unity of body and soul that the Christian will find God, ‘the Word made flesh” Let the flesh blossom, and then when it’s time, let it rot. For me, it is better to die amazed at having lived than become just another immortal cog in a technological dystopia.